Modern perceptions of indigenous ways and ancient cultural patterns are presently being reshaped by an ascending recognition of new discoveries occurring all over the globe, retracing our footprints into the deep reaches of the past. 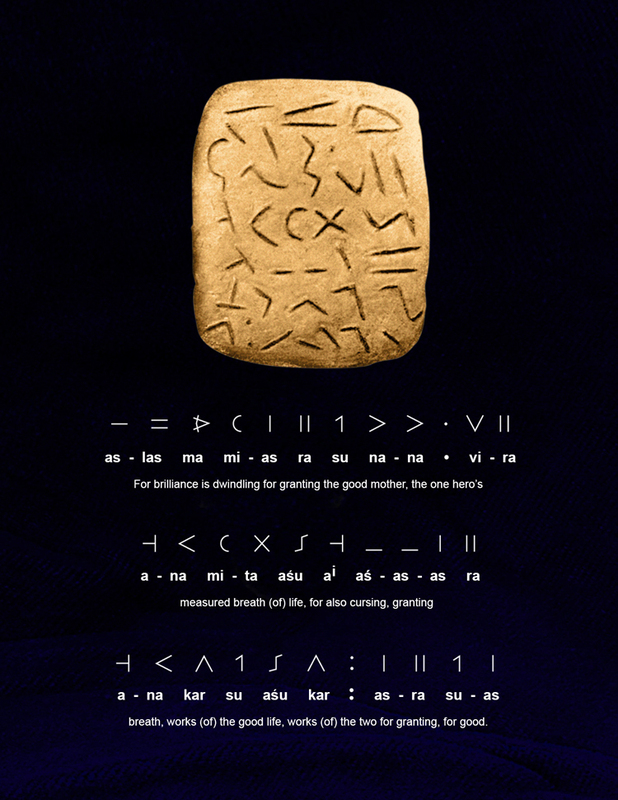 Translation of Paleolithic texts according to the Schildmann decipherment reveals their collective global preoccupation with the waning strength of the Atlantean pyramid network, caused by a perceptible dissipation of infrasound resonance within our entire solar system. 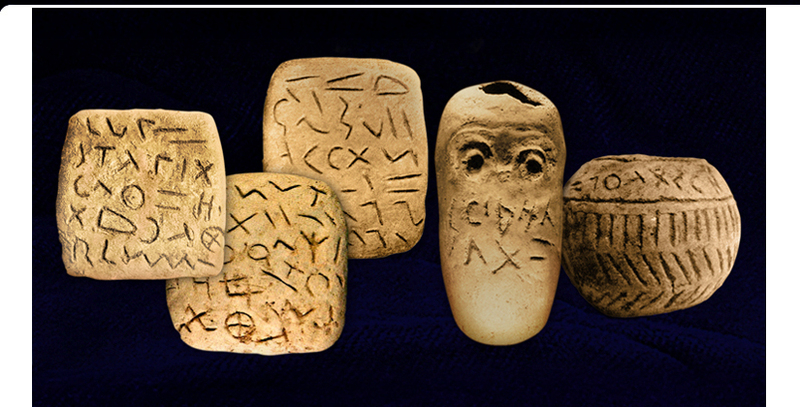 Closely echoing Paleo-Sanskrit votive texts from various sites including Caria, Italy, the Island of Malta and the Illinois Cave archive, excavations begun in 1924 in Glozel, France yielded over 100 hieroglyphic tablets among more than 3,000 artifacts. Many of these well-preserved texts express a profound regret for the dwindling intensity of planetary infrasound. 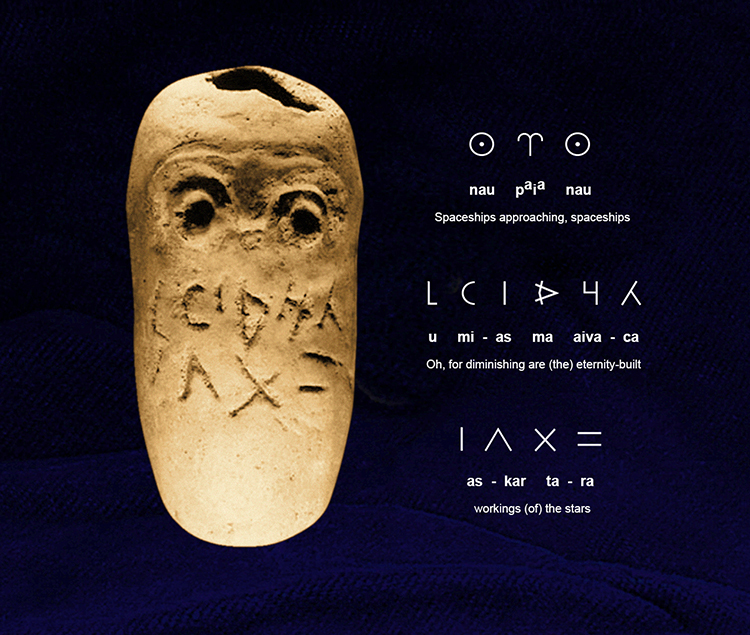 A small urn displaying a face-like ligature has been engraved with glyphs reading left to right: nau paia nau u mi-as ma aiva-ca as-kar ta-ra --"Spaceships approaching, spaceships. Oh, for diminishing are (the) eternity-built workings (of) the stars" (above). 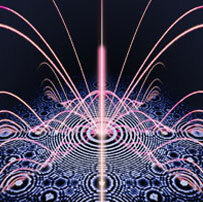 The thundering resonance of the stars was praised as the cosmic Om. 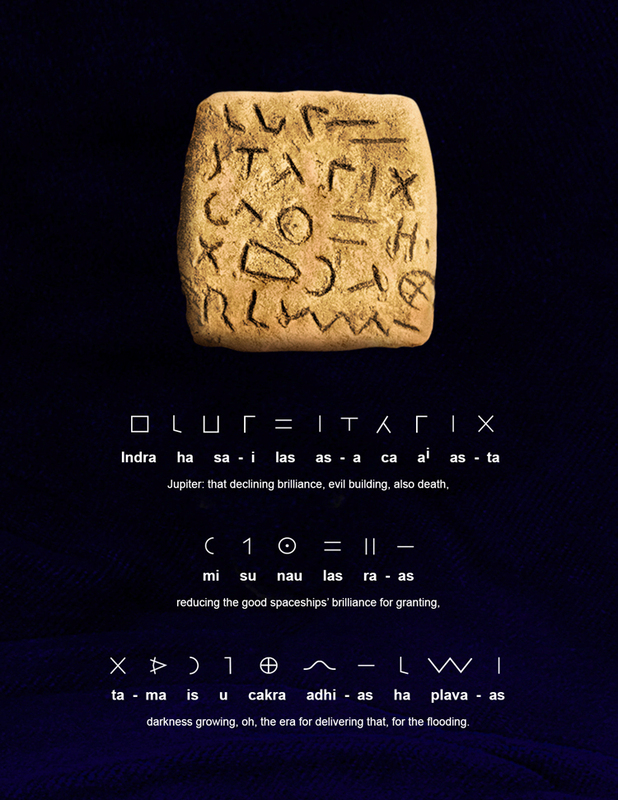 The all-encompassing influence of 33 frequencies of planetary infrasound upon human beings was upheld by Paleo-Sanskrit authors as the divine granting of life force attributed to the two great divinities: Svar and Indra --the Sun and Jupiter. 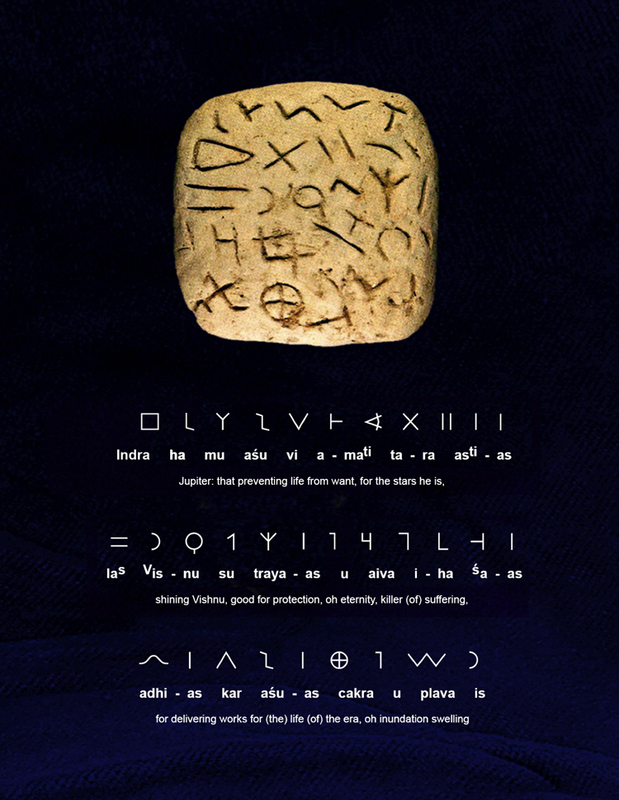 The Svar glyph is composed of a circle with radiating lines, as still commonly in use today, while the Indra glyph is a square. 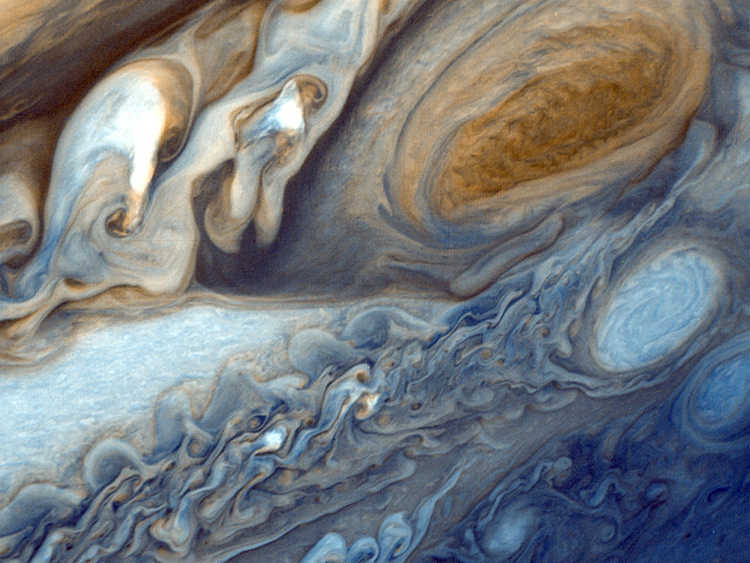 This divine pair for endowing all life was often referred to as 'the two', yet among many texts from this bygone era it is Jupiter that is exclusively referred to as 'Indra, the one'. 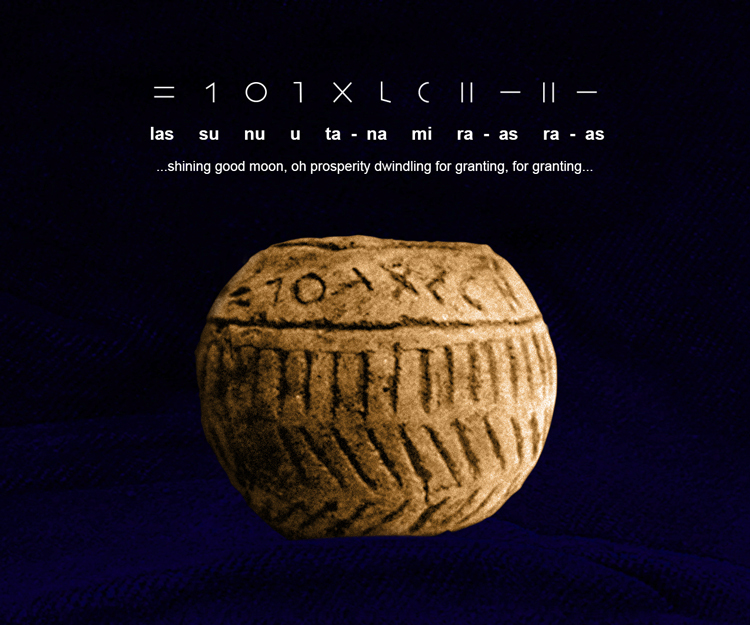 This phrase is expressed in a ligature formed by adding the numeral '1' as a single dot within the square, referencing Jupiter's giant third-eye megacyclone now called the Great Red Spot by today's astronomers (above). killer of suffering, for delivering works of the life of the era, oh inundation swelling. 'Works of the life of the era' refers to periodic shifts in planetary resonance due to cycling galactic waves that define human consciousness throughout an Age on Earth. Knowledge of these cycles has been precisely recorded and preserved among the many surviving calendar systems inherited by the Maya. brilliance for granting, darkness growing, oh, the era for delivering that, for the flooding. for also cursing, granting breath, works of the good life, works of the two for granting, for good. 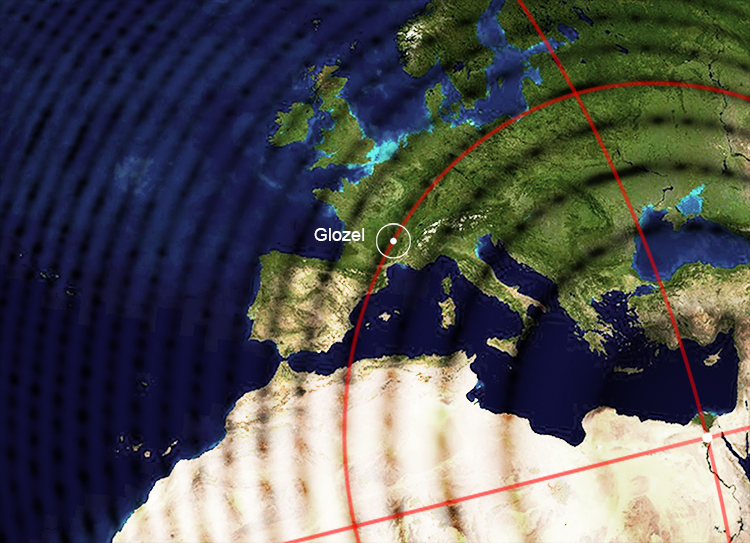 Mapping of global infrasound resonance patterns based on the quantum iterated function [ zn+1 = zn2 ] reveals the geopositioning of the Glozel Paleolithic site in western Europe (above). The 1,827-mile distance from Glozel to the Great Pyramid approximates the value of Fibonacci #135 x 10-27 (1,815.94...), comprising 7.3% of Earth's mean circumference, which approximates Fibonacci #357 x 10-71 (7.30...). Megalithic constructions with distinct linguistic connections to the Glozel artifacts have been identified at other Paleolithic sites in France including Lascaux Cave, Carnac and Gavrinis Island.